This beautiful Hope Chest is handcrafted of solid oak wood and has a cedar bottom, lock, raised panel sides and front as well as beautiful ogee bracket feet and moulding! 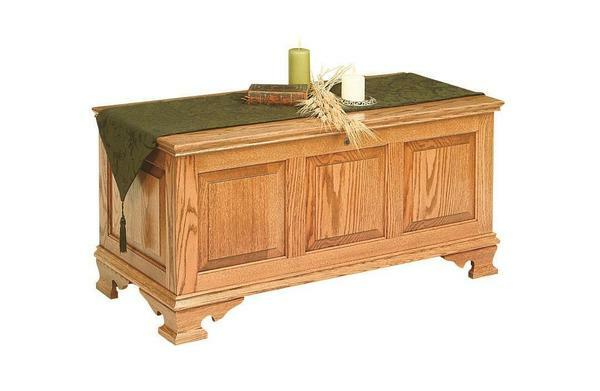 This Amish chest is shown in an OCS 112 Provincial finish. After an order is place, we can send out finish samples to confirm your stain or paint selection.